Cheaper Car Hire at Cape Town Airport. Compare MPV, SUV, Estate & Minivan Rental in Cape Town. 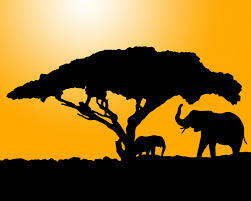 Compare car hire rates at Cape Town Airport, South Africa. Save on saloons, hatchbacks, SUV, MPV & Minivans in and around Cape Town. 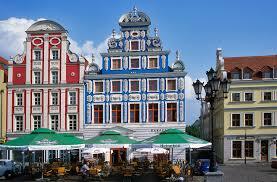 Check standard and zero excess rates from these car rental companies:- First Car Rental, Budget, Sixt and Comet. Cape Town is South Africa's leading airport. It currently handles over four million passengers a year. Cape Town Airport is a major tourism gateway to the Western Cape region. With a modern glass and polished steel structure, it has the capability to handle passengers quickly. Whilst it is referred to as South Africa leading airport, it is in fact out sized by the airport of Johannesburg. A taxi and shuttle bus service connects the airport to Cape Town. Lots of day trips can be planned, using Cape Town as your base. A day trip in your hire car to Table Mountain will of course be top of the list. However, also plan a day trip skirting the Atlantic seaboard to Hout Bay. Here you park your rental car and take a boat trip and visit Seal Island. 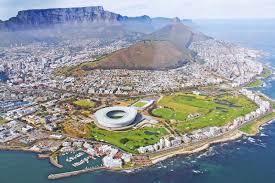 Cape Town is known by locals as the Mother City. At Table Mountain, the safest option is to get the cable car up the mountain as the weather can change quickly. Park your hire car at the car park at the foot of the mountain in the safe park zone. However, make sure you drive your hire car around the other side of the bay, to see the mountain in all it's glory. Plenty to do and see in Cape Town, including the Victoria & Albert waterfront. 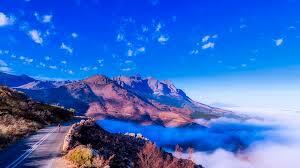 The Garden Route is a very diverse trip, that should be taken over a number of days. See the winelands of Stellenbosch, the Karoo Desert and Ostrich farms. 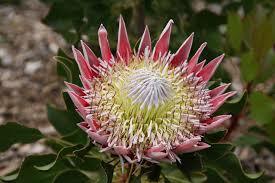 Spring is the best time to go and see the over six hundred different types of Proteas. Go via Knysna, False Bay and Cape of Good Hope. See Worlds End, the southern most tip of Africa, where the Atlantic and Indian Ocean meet, before heading to Port Elizabeth. Compare prices for cheaper motoring around Cape Town. Book and save on Cape Town SUV, MPV & minivans. Lower prices on all types of vehicles in the Cape. Cheaper holidays auto to rent available here. Minivans to seat 7 & 9 people at discounted hire costs. Some of the many cars on offer include, the Toyota Pickup, VW Golf, Nissan 4x4 Jeep, Opel Zafira and the Ford Estate. These are just a few from our massive South African car rental fleet at Cape Town Airport. We will have your car hire waiting for you at the airport. If arriving out of hours, we will provide a meet and greet service, to get your vehicle rental. We ensure you get off to a good start, to that all important African adventure, behind the wheel of your SUV or MPV rental. If you're unfamiliar with the South African road network, consider hiring Sat Nav. This will also help ensure you do not go off the beaten track. We also offer additional insurance to cover any damage or theft excess. The Nissan X-Trail is a very popular car to hire. 1st Car Rental are our most popular car hire company used. They offer cars on two rates. The excess ranges from zero to R7000. Off to Durban or Joburg next? 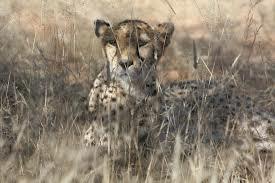 Save on more car rental in South Africa.